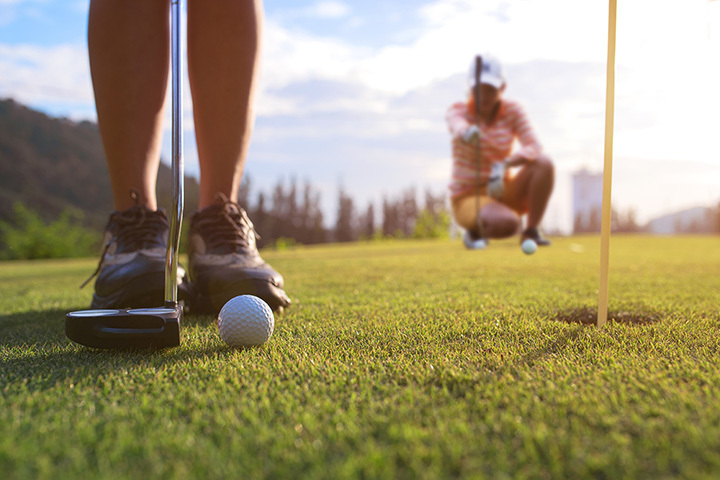 Golf courses in Nevada are something to experience because of the state’s magnificent natural beauty. Finding a course that is public so one can play while traveling is not always easy, but Nevada has some of the nicest public golf courses in the country. Whether looking for a new course or hitting some balls while traveling, try out one of these excellent golf courses in Nevada. This course in known for being well-kept and for the welcoming staff. The course is open to the public but immediatley you feel like a local. They are very nice and thrilled to share any information they can. The 19-hole course is great for all skill levels. The views alone along these courses are worth the day of golfing. They are home to an 18-hole course for general use and an nine-hole executive course that are both open to the public year-round. This is a par 3 course that is made for use by all skill levels. It is a basic course best for families and seniors. One of the best features of this course is that it is free of majro hazards that may frustrate new golfers. The walking required is also not too much for seniors. Very close to the strip, this is a favorite for visitors looking for a break from the lights of Vegas. The course is fun but not so challenging you can't play if you are a beginner. There is also a two story lighted range to practice as well. As with most places on the strip, there are also bars and plenty of places to eat after a round. They pride themselves on being the most afforable golf in the state. This is the place where anyone from a first timer to old timers can golf without breaking the bank. The course are basic and offer the flexibility of not walking as much as some bigger courses for those who can't take all the long walks.